450Bushmaster.net • View topic - The Birth of Grumpy! Re: The Birth of Grumpy! I like it !! I've always been a wheelgun man myself, 44 rem. mag, Ruger Redhawk. Oooooooooooooooh! I didn't know they had a Hum-Vee season in CaliPornia? I had a weak moment after a bout of cabin fever last winter. She is a handful with full throttle loads, but pretty fun with 1100fps loads. Al in Mi wrote: I had a weak moment after a bout of cabin fever last winter. She is a handful with full throttle loads, but pretty fun with 1100fps loads.
" Like they're looking down the Lincoln Tunnel and they're Jersey bound! " Thanks guys. I'll try to get video of it at the range. 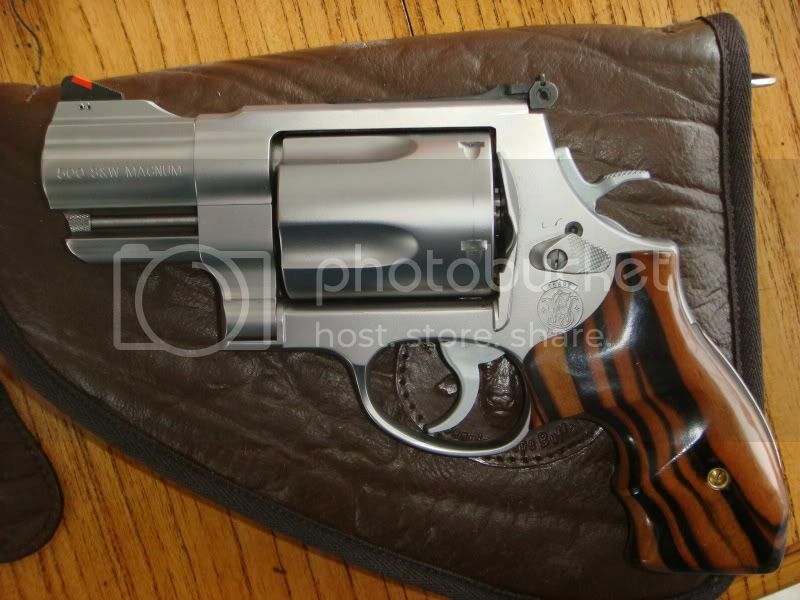 I'm not finding any quality hip or drop leg holsters for this bad boy. I wish there was a SHERPA or something similar available. Thanks Dawg! I'll go check that out. Every single conceal carry holster that I own is a Don Hume. (6-8 holsters, two belts, various mag pouches, etc.) It's time for me to place another order with them too for my Glock 21.